JJ Loughran supply 560 KW 1006 RPM Generator 400 Frame 690VAC B5 Mount to be retrofitted into existing wind turbine application. 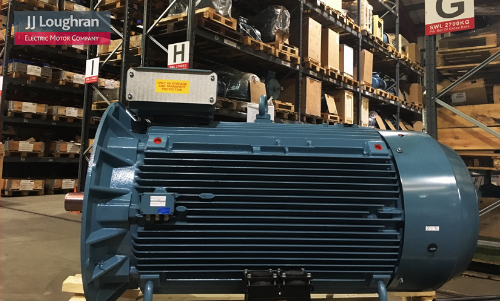 The original generator manufacturer no longer supplied the generator in question, so JJ Loughran working in conjunction with ABB technical support team supplied a bespoke generator complete with modified non-standard shaft – ABB were able to produce this generator in just under 8 weeks. The new Generator also comes with a 3-year warranty as standard.